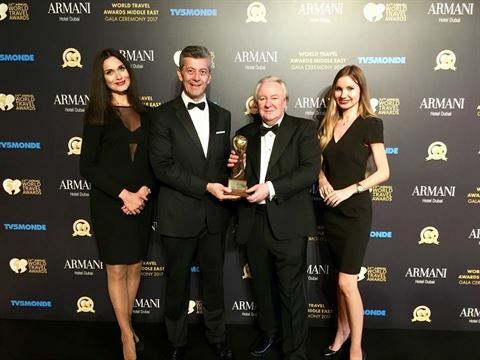 Nemo Acimovic, General Manager of Millennium Plaza Dubai at the Gala CeremonyMillennium Plaza Dubai has been recognised by World Travel Awards as Dubai’s Leading City Business Hotel for 2017. 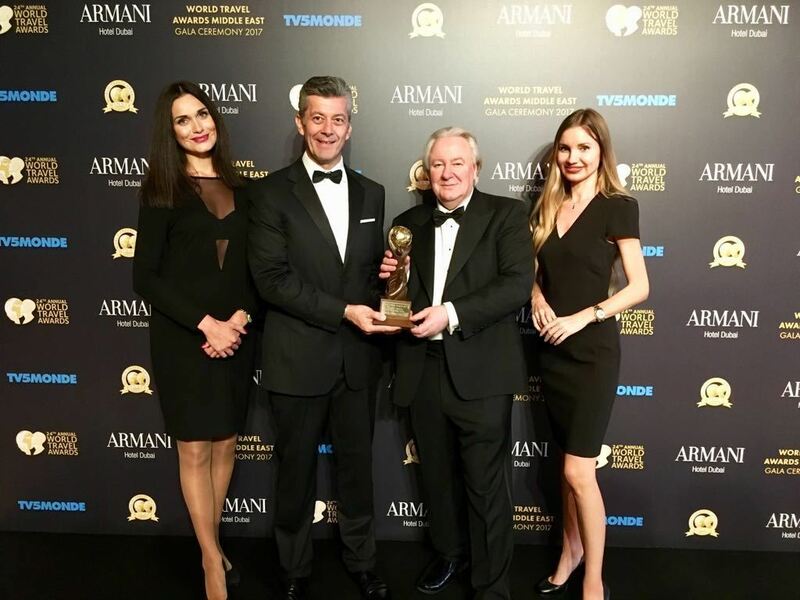 General Manager Nemo Acimovic received the award at a gala ceremony held at Armani Hotel Dubai where Millennium Plaza Dubai along with other properties of Millennium & Copthorne Middle East and Africa were honoured for excellence in the hospitality business. “Receiving a high caliber and prestigious award from World Travel Awards for the 4th consecutive year is a reflection of our dedication and commitment towards excellence in both customer service and hospitality business. This is a great recognition for our team who worked really hard to ensure that we provide our guests the ultimate satisfaction when staying at Millennium Plaza Dubai. In line with our motto, “More Than Meets The Eye”, we will strive to continue meeting and exceeding their expectations,” commented Acimovic. The World Travel Awards was established in 1993 to acknowledge, reward and celebrate excellence across all sectors of the tourism industry. The brand is acknowledged globally as the ultimate hallmark of quality, with winners setting the benchmark to which all others aspire. The awards are voted for by travel and tourism professionals worldwide and reward those organisations that push the boundaries of business excellence which Millennium Plaza Dubai has demonstrated in the last 12 months. This year’s gala ceremony has been recognised as the region’s most prestigious travel and tourism event which was attended by leading figure-heads and VIPs from across the Middle East.